Some say the invention of plastic was the greatest creation since bread (or Betty White). This new product brought the age of disposable items like containers, plasticware, and even toy trucks. However, people tend to forget the downside of this amazing discovery and its current effects in places such as landfills and parks (to name just a few). Plastic is currently one of the biggest polluters on this planet and will continue to be, due to its life span and the amount of people that continue to use it. From plastic bags to bottles, your local water sources, wildlife and even some humans are paying the price. However, there are ways to slow down this epidemic and reduce the amount of plastics going into your garbage. Step One: Rid your life of as much plastic as possible. There are many ways to do this, and it can be overwhelming to think about them all. But first, start with something simple, like using reusable cloth bags at the grocery store or while shopping rather than using the stores’ plastic bags. Then move onto other things, like eliminating plastic bottles by using a reusable cup, and then you’ll be headed to using reusable containers. Step Two: Choose Plastics 1 and 2. If you ever get the chance to look at plastic containers, they will usually have a number between 1 and 7 on them. The number represents the type of plastic material that was used to create that product. 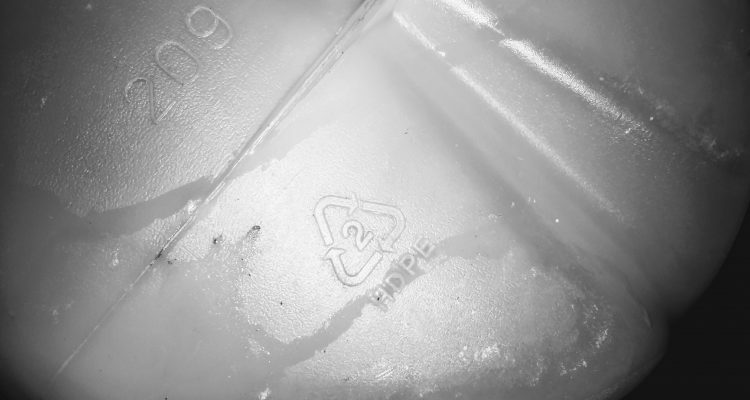 You might want to aim for using plastics 1 and 2, because they are the most recyclable plastic materials and are acceptable in more places than are plastics of the other numbers. Step Three: Recycle those plastics. In the end, you can recycle most plastic containers. If you cannot completely escape from plastics, most recycling centers take plastics 1-5 and 7. After following steps one and two, this should be the final step in the fight against plastic pollution. I hope you will join me in the battle against plastic pollution on this earth and that we will be able to defeat this epidemic once and for all. Have a good day and check out my links down below! Thanks on your marvelous posting! I genuinely enjoyed reading it, you could be a great author.I will always bookmark your blog and may come back in the foreseeable future. I want to encourage you continue your great posts, have a nice morning! It's because I have to approve them before they are officially posted (I get alot of spam). I am extremely impressed together with your writing talents as smartly as with the layout to your blog. Is this a paid subject matter or did you customize it your self? Either way keep up the excellent high quality writing, it's rare to peer a nice weblog like this one nowadays.. I'm really inspired along with your writing abilities as well as with the layout to your weblog. Is this a paid topic or did you customize it yourself? Either way stay up the nice high quality writing, it's rare to peer a nice blog like this one nowadays..
Hey! I understand this is somewhat off-topic however I had to ask. Does operating a well-established website like yours require a lot of work? I am completely new to writing a blog however I do write in my diary on a daily basis. I'd like to start a blog so I will be able to share my experience and views online. Please let me know if you have any kind of recommendations or tips for brand new aspiring blog owners. Thankyou!